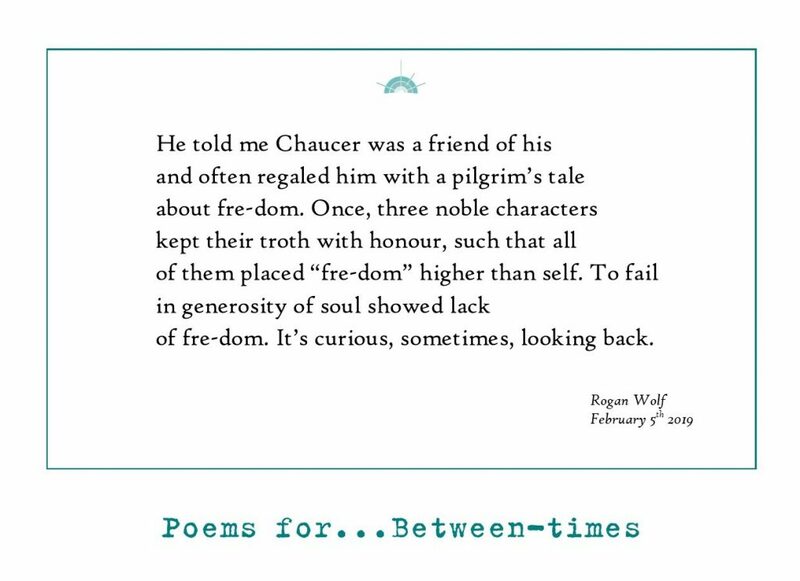 In the fourteenth century, Geoffrey Chaucer introduced Rhyme Royal to English poetry and all these stanzas of mine about Brexit share that long established rhyme scheme. And Chaucer wrote The Canterbury Tales and one of those is “The Franklin’s Tale” which I love. And that’s where this medieval word “fre” keeps appearing, later to become “freedom.” But in The Franklin’s Tale, the word means something very different from modern usage. Does that imply corruption just of language, or corruption of spirit ?